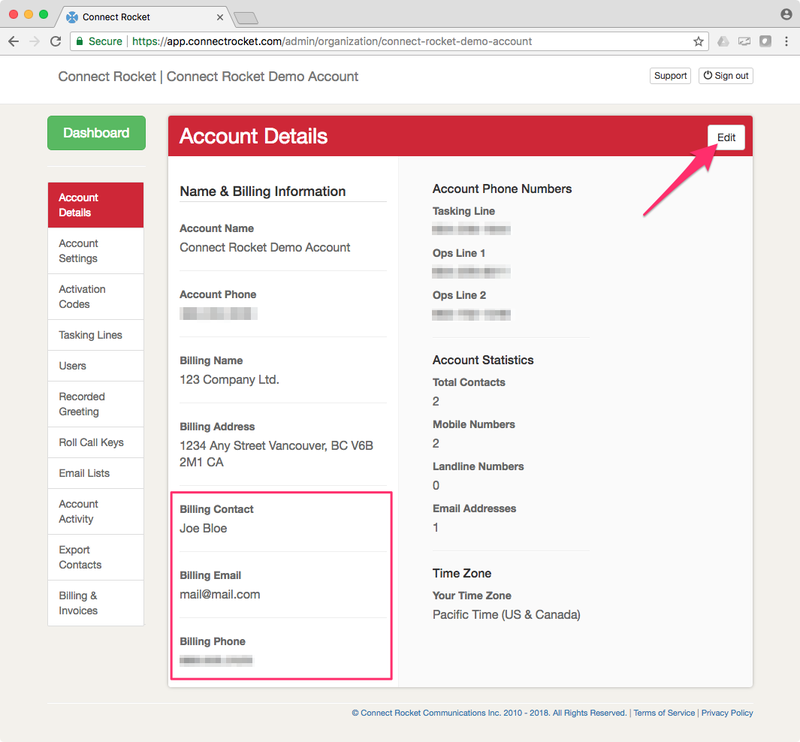 You can manage changes to your billing info in the Admin area of the Connect Rocket applications. Simply update your billing contact and/or address details and those changes will be automatically reflected in your next invoice. If you need to make make a retroactive change to an invoice, please contact us and we'll help you out.